Practical suggestions and guidance for helping school district literacy leaders achieve growth and development in themselves, their students, the school culture, and the profession in general. An invaluable tool for current and aspiring literacy leaders, this resource presents clear guidelines for fostering collaboration among colleagues, improving teacher effectiveness by involving teachers as learners, and engaging teachers in planning for their own growth and development. Included are contributions from classroom teachers across grade levels, literacy coaches and reading specialists working in school districts, representatives from outside agencies, teacher educators, administrators, and parents in both urban and rural school settings. Their experiences, coupled with the examples that the authors provide from their work with teachers, bring the ideas to life for readers. 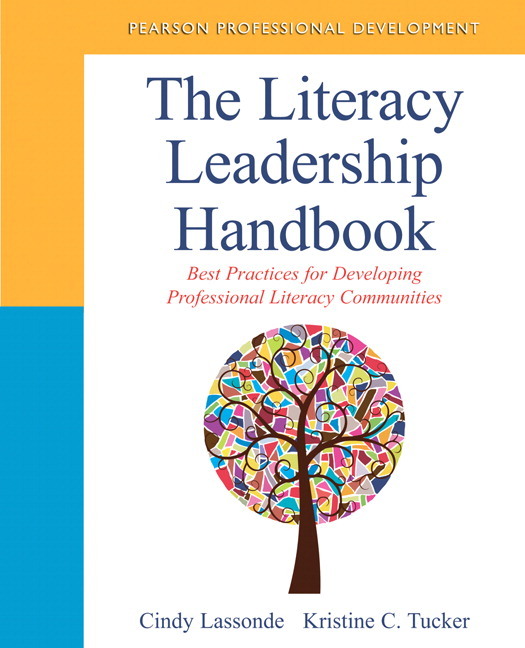 To further the connection between the ideas and real life, the authors include interviews with an elementary education and literacy leader, a secondary education and high school literacy leader, and a literacy leadership team, all speaking out on the issues involved in effective literacy leadership. Each chapter also includes Common Core State Standards Connections, Response to Intervention Connections, and discussions of how ethical literacy leaders face and solve problems. "Following the advice that is offered in this book will support your efforts to become an effective literacy leader. You can’t ask for a book to do much more." "I felt the text read easily as one educator speaking to another and that the students in my classes would find the text accessible." "I appreciate that the authors see literacy leaders as more than just the reading teacher, but as anyone in the school who wants to make a difference in the literacy lives of students." "I liked this book very much, and would recommend to others, particularly teachers who are transitioning to leadership roles. It is filled with the kind of information that makes one say, "I wish someone had told me that!" Readers understand the goals of growth and development through the authors’ proactive stance to helping school district literacy leaders see themselves as agents of change and growth and facilitate their growth as professionals who promote that growth in themselves, their colleagues, their students, the school culture and, in general, the profession. An overarching view of literacy leadership spotlights multiple perspectives and the role of numerous leaders within a system through the integrated chapters. Ample opportunities for group discussion are provided through the book’s approach to exploring the role of literacy leadership within a school building or district and through the lists of study group questions at the end of each chapter. Practical Applications sections at the end of each chapter that suggest ideas for applying the concepts to classroom and professional development activities. Contributions from classroom teachers across grade levels, literacy coaches and reading specialists working in school districts, representatives from outside agencies, teacher educators, administrators, and parents in both urban and rural school settings. Interviews with an elementary education and literacy leader, a secondary education and high school literacy leader, and a literacy leadership team, all speaking out on the issues involved in effective literacy leadership. Connections to the Common Core State Standards in each chapter. Connections to Response to Intervention in each chapter. Assumption #1: Adult learners need to know why they are being asked to learn something new before engaging in the learning process. Assumption #2: Adult learners come to learning situations with a wealth of experience. Assumption #3: Adults are ready to learn when they perceive the need to change to be more effective at what they do. Assumption #4: Adults are motivated to learn after they experience the need for a change. Assumption #5: Adults are motivated to learn based on internal needs. Assumption #6: Adult learners are self-directing. Cindy Lassonde is Professor in the Elementary Education and Reading Department at the State University of New York College at Oneonta where she teaches undergraduate and graduate courses in literacy and special education. Formerly, she taught elementary language arts for over twenty years. As a writer, she is the author of numerous articles published in professional journals and has authored and edited 12 books on children’s writing and literacy leadership. She is most proud of being the mom of three beautiful daughters and the wife of the love of her life! Kristine C. Tucker is a 7th-grade language arts teacher at Central Middle School in Long Hill Township, New Jersey. Formerly, she taught in elementary education and special education. She has also served as a New Jersey State Reading Coach, K—12 Literacy Coach, and Assistant Professor of Education. Her interests include literacy leadership and learning, experiential education, global education, humane education, and adult learning. Kristine is thankful for the love and support of her husband and three sons.